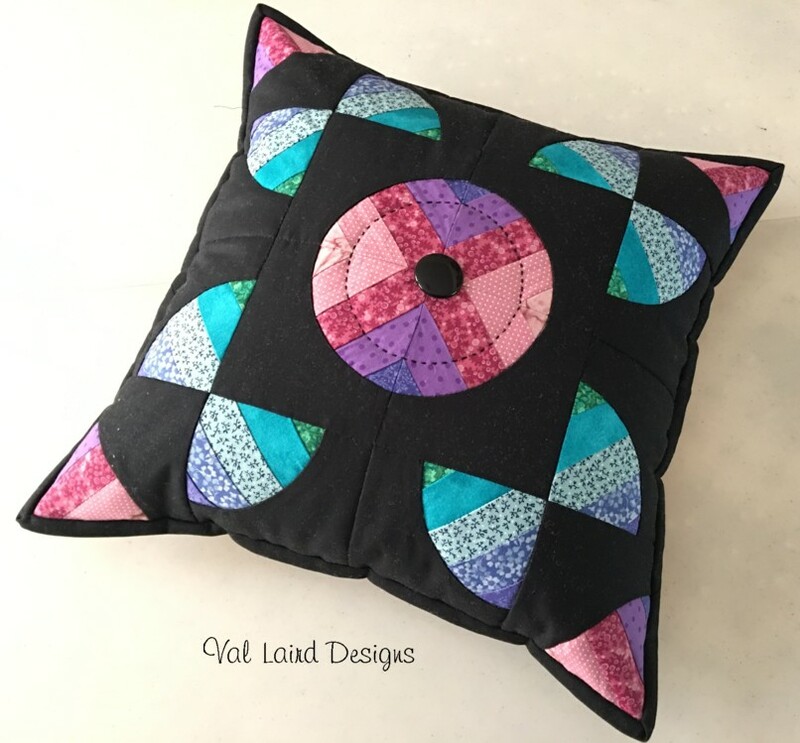 Val Laird Designs - Journey of a Stitcher: Black is the new white. Black is not a colour that I wear much at all. It isn't too bad if it is 'below the belt' and so I have one black skirt, but I think that is the limit to that colour in my wardrobe. If it is anywhere near my face, it just drains all the colour out of me and I definitely do not look my best! Why then have I gone crazy with black backgrounds lately? It seems to have become a trend with me over recent months and black has been the colour of choice for quite a few of my projects. There's no doubt about it, there are certain tones and shades of colour that are enhanced against a black background. Even the pale pinks and blues in the dresden plates above look so pretty against the dark fabric. In fact, I venture to think that they would look rather insipid against a white or light background. 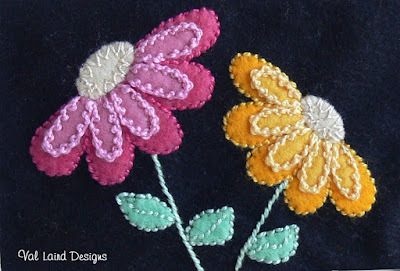 Then I love how the black brings out the strength of the bright colours. They seem to positively glow. I had this gorgeous piece of white peacock lace, so what to do with it but to put it against a dark background. 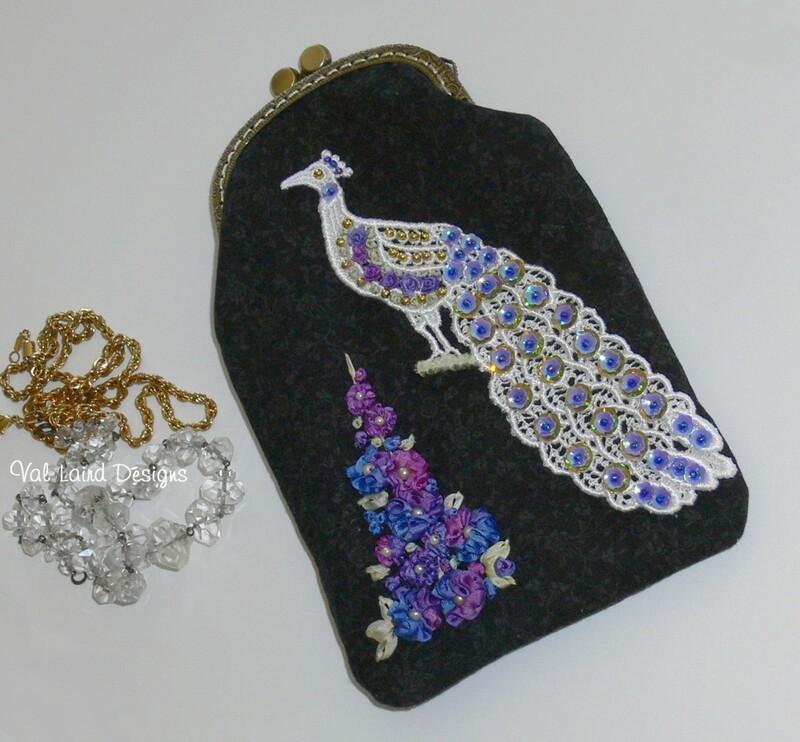 Sequins and beads add to the sparkle! For my "Pathway to Colour" Drunkard's Path Cushion, I chose to make ombre strips and I love how the pink, purples and aqua stand out. 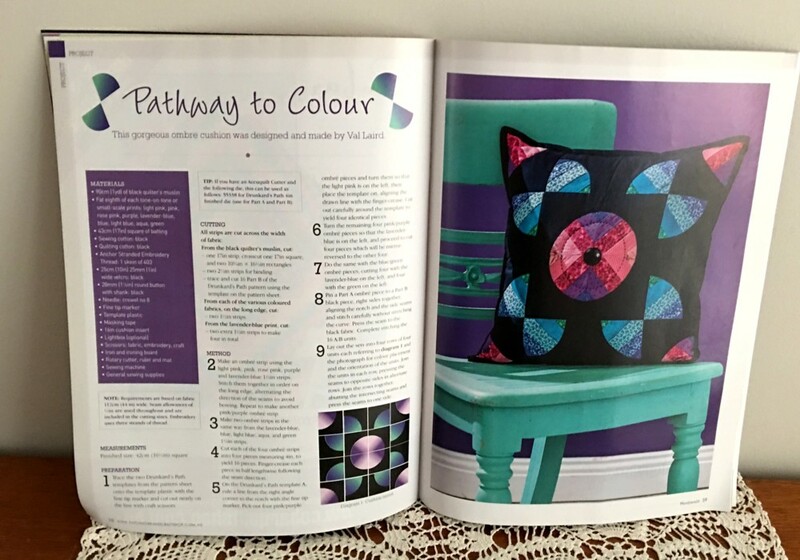 This design featured in Handmade Magazine No 36 Issue 9 if you are interested in the pattern. 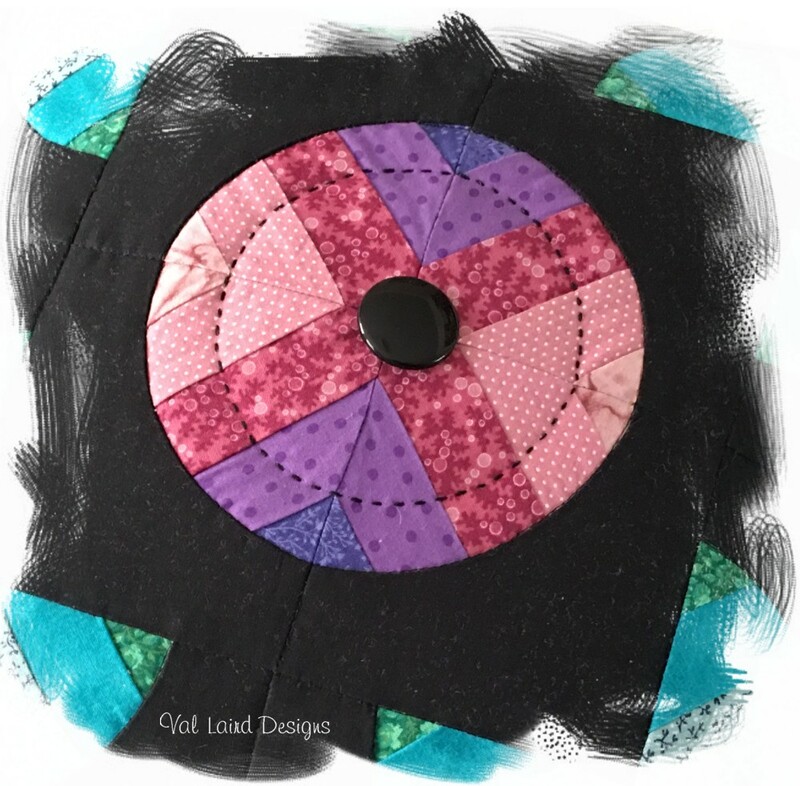 At the moment I am working on another quilt using some gorgeous Tilda Fabric, but I've gone back to an off-white background for this one. I realise you have to really pick the right time to go black! Good morning, Val. What gorgeous pieces. It's hard to pick favorites, but the Dresden and peacock especially caught my eye. And the choice of a dark background does make the colors stand out. These are some beautiful finished projects. Good for you! You are so right that the black showcases those colours beautifully. And what lovely stitching! I love all your black backgrounds great looking projects and it does make them 'sing'!! Black makes the pretty colors just pop! 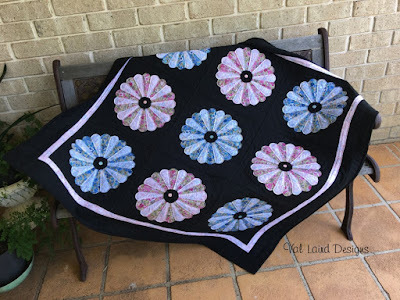 It reminds me of Amish quilts... so striking! Lovely work there Val! I must get back to finishing off the handpicked wardrobe BOM from last year! !